Lewis Hamilton was happy to bring a run of poor getaways to a close as he aced the start in China en route to a convincing win. Reigning Formula 1 world champion Lewis Hamilton felt he redeemed himself by ending a run of poor starts at the Chinese Grand Prix. The Briton had vowed to work hard on his getaways after losing out to Mercedes teammate Valtteri Bottas off the line at the opening two rounds of the season in Australia and Bahrain. 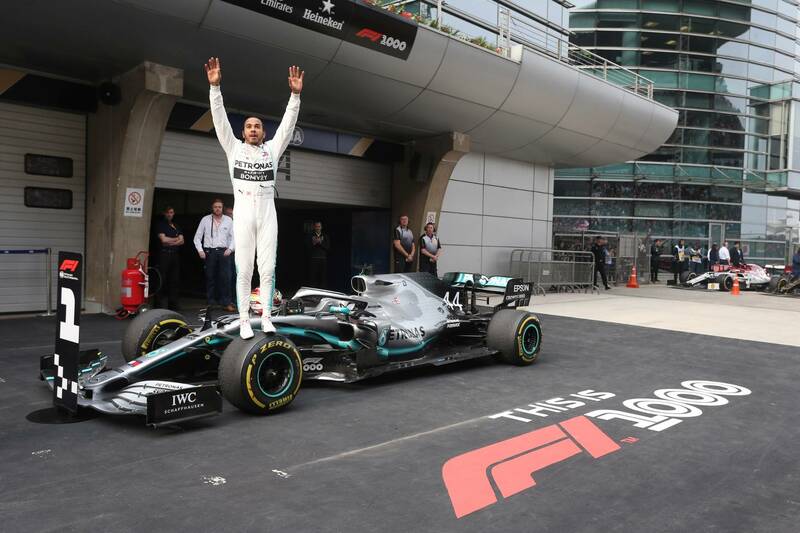 It was roles reversed in China, however, as Hamilton got the better of polesitter Bottas to beat the Finn into the lead at Turn 1 and set up the 75th win of his career. Asked how much work he had put into his starts this season, Hamilton - who was plagued by bad starts on his way to being beaten to the 2016 title by Nico Rosberg - replied: “No more than I did in the previous year, but it clearly is an area that I’ve struggled with and it’s not like it’s only this year. “It’s been something I’ve struggled with over the years - 2016, you could say, was one of the worst. Probably back in 2007, 2008 was also really poor period of time for starts, particularly against the Ferraris who were very, very strong with it. “Last year was actually a really strong year for me. I think I just finished second overall of quickest starts throughout the year to, I think it was Carlos Sainz or something like that. Arguably it was first – but it’s dependent on the GPS. Hamilton had struggled to match the pace of Bottas throughout the weekend in Shanghai, but credited changes to his driving style in qualifying as being key in enabling him to close the deficit as he narrowly lost out on pole, before dominating the race. “Once I got the start done, I was like it has to be good enough,” Hamilton explained. “Valtteri was really quick, he has really stepped up this year and done an exceptional job, so we’re both delivering on the weekends. “It was a little bit of a struggle this weekend for me, but once I got into qualifying, a little bit of a shift in driving style enabled me to unlock a bit more potential with the car, which Valtteri was clearly able to do. “The changes that I made in qualifying, driving style-wise, enabled me to be able to deliver fairly decent performance to at least match Valtteri but once you’re in the lead, you gauge it a little bit more, you can utilise your pace, you can see where your weaknesses are and you can build and work on them lap after lap. “But after I got probably the first couple of laps, then all of a sudden I started to get in the groove and I was like OK, I’ve got the pace today, let’s see how I can keep these tyres alive and deliver to the strategy.